Let me tell you....this was one FUN project to create! I made it for my dear friend Gloria...who had a "landmark" birthday in February. I started with a simple 6" tall white wooden letter...can you believe it? 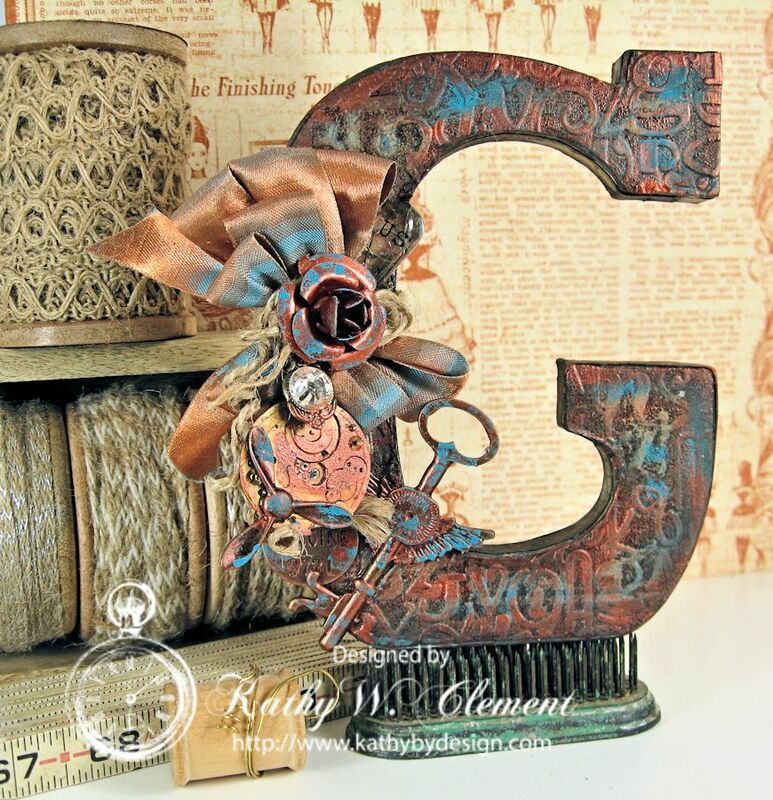 I love the metallic look I was able to create with embossed papers, DecoArt Treasure Chalk Paint, Copper Dazzling Metallic Paint, clear embossing powder, fun embellies and luxurious variegated Copper Ribbon from Really Reasonable Ribbon. Just look at the lustre and shine of this amazing bow! Although this ribbon is fairly thick, it ties beautifully with a little help from the Zutter Bow-it-All! I added a little of my faithful Natural Jute String on top to provide some texture and contrast. 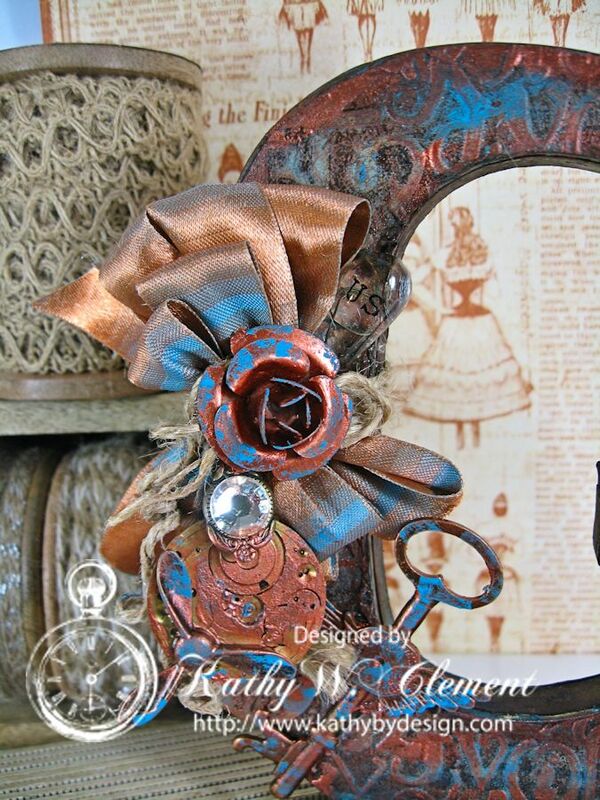 I just can't get over how this ribbon is the perfect match for the metallic and chalk paints! 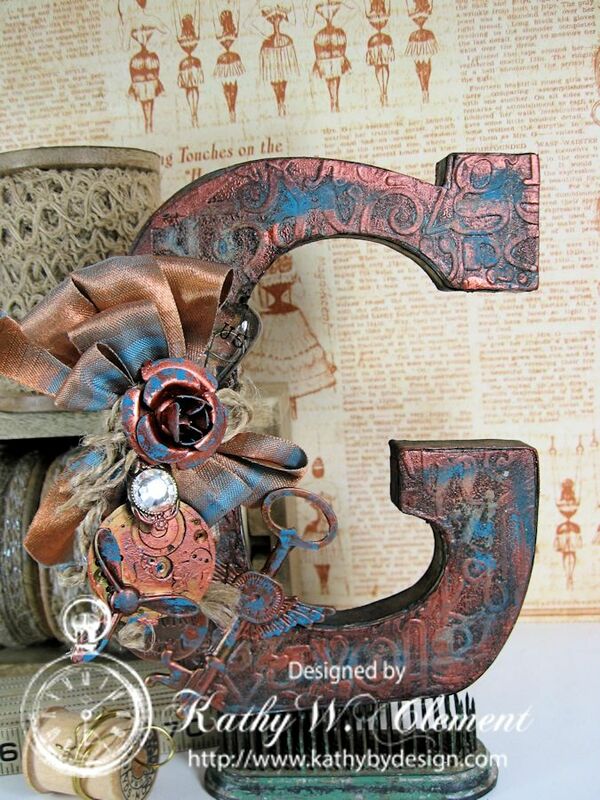 Once again, the ribbon and trims are the elements that make this steampunk altered letter really special! If you haven't ever made one of these, you should give it a try...but be warned...it's kind of addictive! This is absolutely stunning Kathy!!! Love every little detail on this piece of art! Thanks, Samra and Pattie! This was a super fun project to make, and the ribbon really did pull it all together. Hugs!